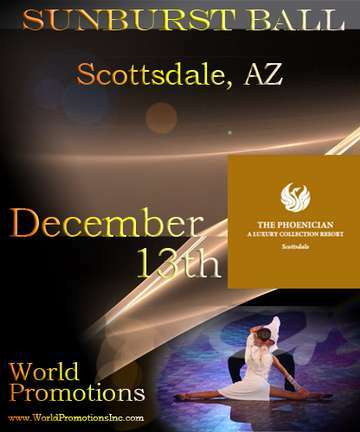 The final World Promotions Ballroom Dance Event of the year. Located at magnificent Scottsdale – this ballroom championship event is the biggest event in Arizona. Join other dancers from around the country as we prepare for the holidays - The Sunburst Ball Pro-Am Competition offers competition events at all levels Beginner through Championship, and all Ages Junior through… more experienced! Spectators may attend from as little as $30. Sunburst Ball is also the Grand Prize presentation for both the Western Region Plus rewards program and World Points – our annual bonus plan.